Spring has officially arrived and that means it's time to get in shape! Now don't start dusting off those old workout videos, today we're talking about patio string lights! From straight lines to scallops, string lights can take on many different shapes and almost any of these will work in the area you are looking to illuminate. But, before you begin hanging patio lights, it is helpful to determine the best way to utilize the space you have in order to get the most out of your outdoor lighting project. 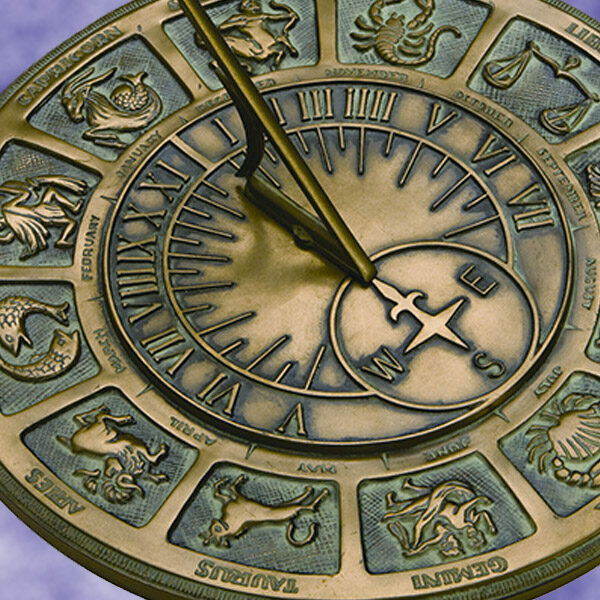 Some people love straight foward thinking, others like to keep things interesting by forging a new path. Zig Zag patterns are a fun choice when you want to add full coverage illumination across your space but desire a more interesting light design. Pattern Perfection Pro Tip: Hang light strings closer together to create a canopy of stars that covers the entire space. If you have one or two very long light strings and an area that is more long and narrow, consider spacing each section farther apart to cover a greater distance with less strings. For even brighter illumination, consider wrapping surrounding trees with mini lights! X marks the spot! You can crisscross light strings across any space to make an X pattern, and this design works especially well in wide spaces or areas that are square shaped. If you have multiple light strings, hang several X's in a row to create a diamond pattern. The result is a light display that appears intricate but is actually incredibly easy to achieve! 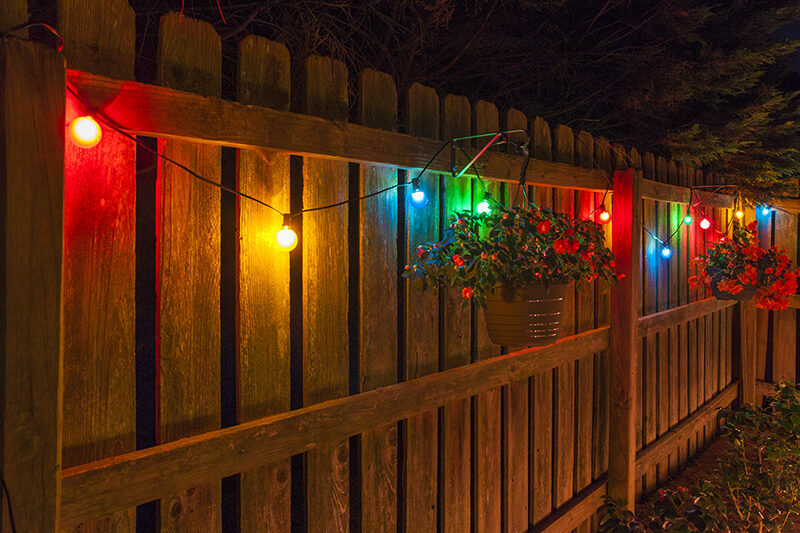 Pattern Perfection Pro Tip: Use patio light strings with larger bulb sizes and wider socket spacing for bigger areas. If you are working in a small space, choose smaller bulb sizes, such as G30 globe lights, with tighter socket spacing between each bulb. Hang Patio String Lights in Squares! Maybe you love checkers or maybe you're a fan of clean lines, but either way this lighting pattern is nothing short of perfection! For this patio string lights design, symmetry takes center stage. Don't worry, you don't need to be a math whiz for this one! All you have to do is hang straight lines across the length and width of your space to create a grid, or keep it simple by outlining just the perimeter of your space! Pattern Perfection Pro Tip: For optimal grid patio lighting consider the size of your space. If you need to cover a larger area, large G50 globe lights or S14 party lights would work well to provide ample illumination across a wider distance. For cozy spaces consider using smaller G40 globe lights or even mini lights to create an inviting glow without being overwhelmingly bright. If you like the look of the grid but want a little extra sparkle, try hanging twinkling icicle lights to create a canopy of illumination above your space! 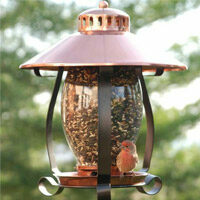 Hanging patio lights in a scallop pattern is a popular choice for wedding lighting and garden parties. This patio lights pattern results in a delicate and very elegant lighting display and can be achieved with a variety of string light styles! 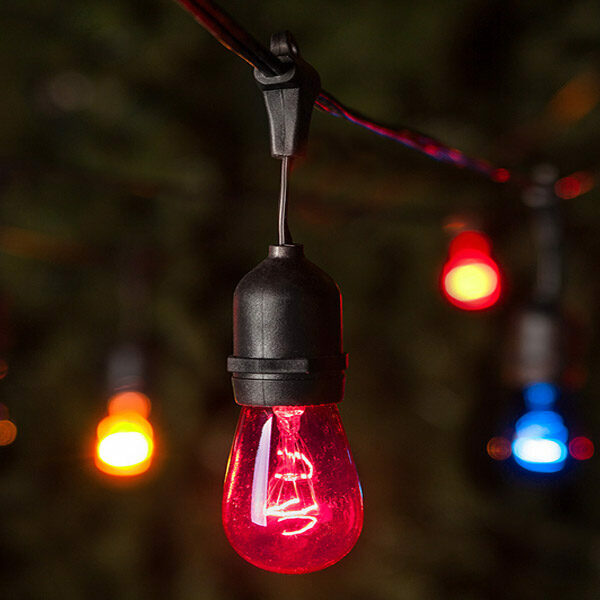 Pattern Perfection Pro Tip: Globe lights and C9 bulbs are an excellent choice for hanging against large surfaces, while garland string lights and C7 light strings create a beautiful scalloped display across decks and fences. Some people hug their trees, others hug their walls! Regardless of hugging preference, patio lights can be hung vertically or horizontally against a wall or even a fence. This patio lighting idea adds depth to smaller spaces and works especially well in areas where there is not enough vertical room for lights to hang overhead. No matter what type of space you have, the end result is utterly charming! Pattern Perfection Pro Tip: Create a lighting design that is uniquely you by mixing different types of string lights! Try alternating globe lights with mini light strings or mix and match colors for a funky new look! If your landscape includes a gazebo or round canopy, wrap or hang patio lights around the perimeter of either the top or the railings. 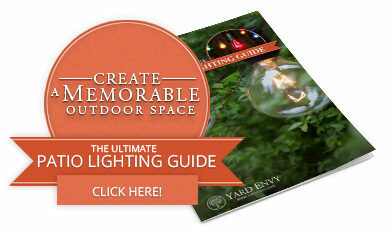 This creates a circle of light that is truly magical and a stunning backyard focal point! Pattern Perfection Pro Tip: When wrapping or hanging lights around a circular structure, try to keep lights hanging tightly against the surface. Hanging the lights snug against the outside rim will create the desired magic circle lighting effect! This Way to Patio Lights! Learn how to hang patio lights on our DIY patio lights guide and leave a comment below to tell us how you're going to hang your patio lights! We'd love to see your photos too!